Generally people will decide to pay the chiropractor a visit to relieve pain they are experiencing in their back, however a chiropractor can help with many complaints such as back pain, pinched nerves, arthritis, headache, neck pain and more. To be clear, you do not have to have a certain type of pain to visit the chiropractor, chiropractors place a lot of focus on wellness and preventative care as well. The great thing is that anyone, of any age, from babies to the elderly can benefit from the chiropractic care provided at Rocky Hill Chiropractic Center. How Will the Chiropractor Diagnose My Neck Pain? To begin with the chiropractor will thoroughly go over your medical history after which a physical exam will take place. It is important to evaluate the spine as a whole being as other areas of the cervical (neck), thoracic (mid back) and lumbar (lower back) could also be affected. After thoroughly evaluating the chiropractor will then be able to explain the best treatment plan for you particular case. What Chiropractic Treatments are There for Neck Pain? This is a very gentle technique which involves hands on spin manipulation in a pumping action as opposed to direct force on the invertebrate disc. This technique involves the use of a hand held instrument which allows the chiropractor to apply the necessary force without needing to thrust into the spine. This gentle thrusting technique will help to restore the movement to the joint. This form of therapy uses special instruments to help diagnose as well as treat muscular tension. These techniques are used to help reduce various symptoms, including neck pain. This is really useful when it comes to relaxing muscles which are overly tense. This therapy is designed to help relieve tight and painful points on muscles. An ultrasound will send sound waves into the muscle tissue, this helps to relieve stiffness as well as neck pain. This technique uses electrical currencies at a very low frequency which will stimulate the muscles on the neck. Therapeutic exercises are another treatment which the chiropractor may recommend, these will not only help with the neck pain but also improve overall range of motion, this prevents the current neck pain from progressing and becoming worse. The above mentioned treatments are merely examples of possible chiropractic therapies that may be used for your back pain, the treatment plan that will be used on you will depend on exactly what your final diagnosis is. Here at Rocky Hill Chiropractic Center the exact treatment plan will be thoroughly discussed with you so you are fully aware of how the chiropractor plans to proceed. Neck pain is not a laughing matter, especially if the pain is chronic or recurring, this could indicate a serious condition. 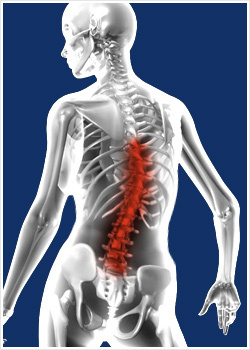 If left unattended it could lead to progressive pain as well as deterioration of the cervical spine and muscles. If this were to occur because of scarring of the fascia, known as adhesions as well as compromised nerve function could mean that a trained physician or therapist may have to correct the condition. If you are experiencing neck complain to hesitate to get in touch with us, at Rocky Hill Chiropractic Center Dr. Maryott will provide the therapy that will best fit your particular needs. For Quick Relief From Your Neck Pain Click Here Now!